Fried glutinous rice is a very famous dish in Chinese Dim Sum place, most restaurants now pre-cooked the rice and stir fry like the normal fried rice would to reduce cooking time. The shortcut was created simply because the traditional way to make this dish is rather time consuming and tedious. It started with soaking the glutinous rice for hours and stir-fry it in a wok, the rice is then being cook slowly by adding sauces in batches until the rice is completely cooked, this method resulting in rice that retaining its shape and is much chewy and less gooey in texture. 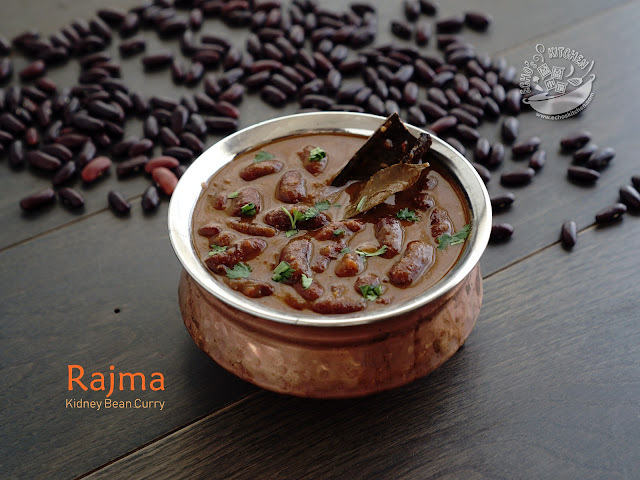 If you have time, try making this dish the traditional way, you will find a brand new experience and may even fall in love with it! 1. Soaked the sticky rice, Chinese sausage, dried mushroom, dried shrimp and dried scallop (for these two, use hot water, and soak about 10 minutes) keep the water from soaking dried shrimp and scallop, pull the scallop apart i you like. Remove sausage casing, cut it into pieces, sliced mushroom. 2. Mix the seasoning into the saved water from soaking dried shrimp and scallop, stir well. 3. In a cooking wok, add 2 tbsp of oil, add shallot and dried shrimps, stir until fragrant. 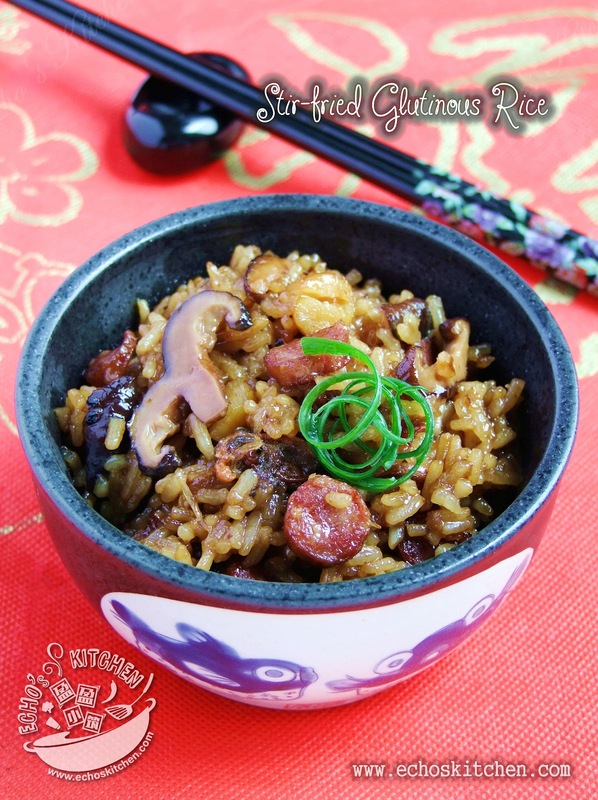 Add chinese sausage,scallop and mushroom pieces and continue to cook for 2-3 minutes. Dish out and set aside. 4. 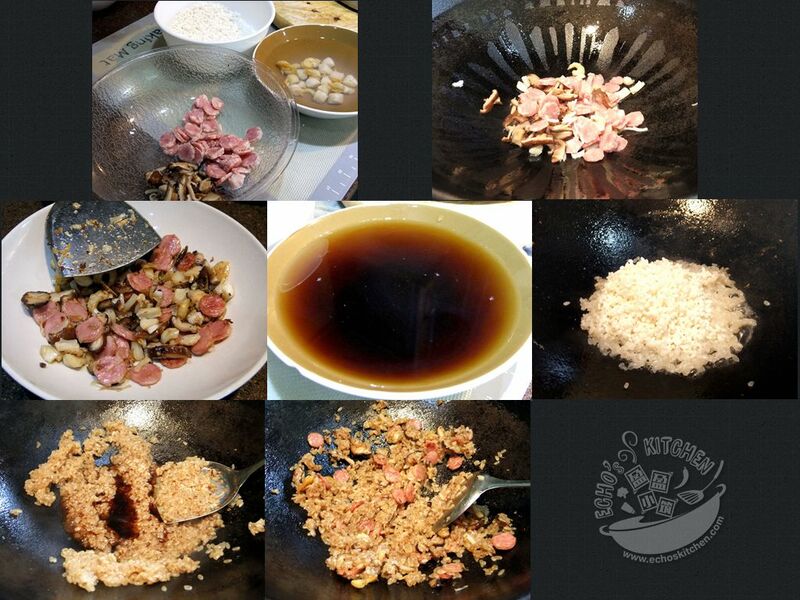 Add glutinous rice into the same wok, stir fry it while adding the sauce mixture in few batches, continue cooking until the rice is half cooked. 5. Add the shrimp, mushroom, sausage and scallop, mix well and continue cooking for few minutes until rice is completely cooked. Garnish with some chopped spring onion.